Theology on Tap is a discussion series for Catholic young adults and their friends, married and single, in their late teens (18-19), 20s & 30s. SPEAKER: Father Dan Joyce SJ of Saint Joseph’s University. Father Joyce will explore our relationship with God, commitments to faith, community, action and prayer. 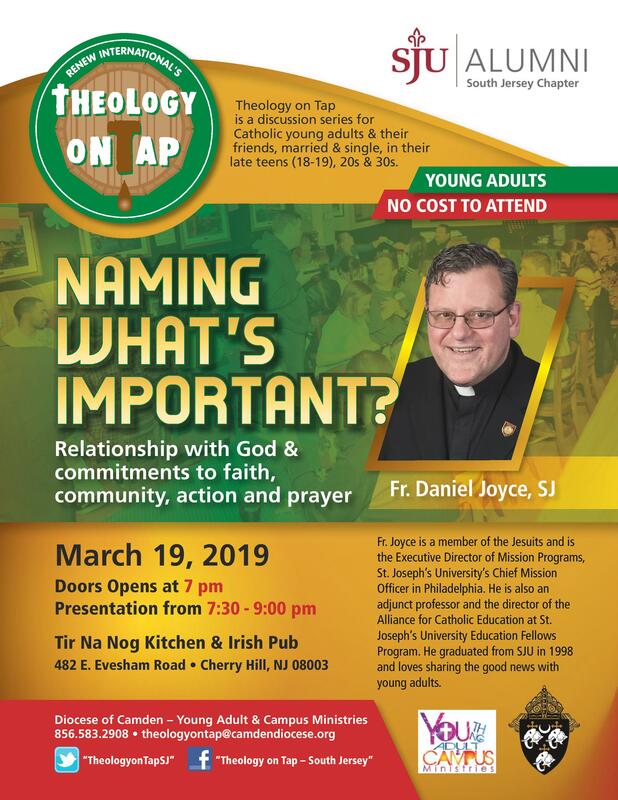 The March ToT is co-sponsored by the Saint Joseph University Alumni South Jersey Chapter is a great chance for 20 & 30 somethings to hear dynamic speakers and engage in meaningful conversation in a relaxed and casual atmosphere. For more info gregory.coogan@camdendiocese.org, or join “Theology on Tap – South Jersey” on Facebook or follow “Theology on Tap SJ” on Twitter. What if I’m Not a Young Adult? Theology-on-Tap is designed to address the needs, questions and interests of young adults in their 20s and 30s. We ask that the age range be respected. There is no cost to attend. Appetizers are free. Beverages may be purchased at the bar. A free will offering will be taken. A suggested donation is $5. No need to register! Just bring yourself, a friend and an open mind. 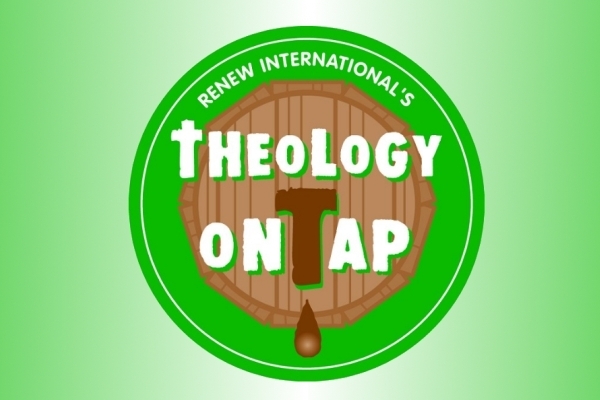 To some the name Theology-on-Tap suggests that this program promotes the use of alcohol. To others it suggests a relaxed, social environment where young adults gather. Although most sites do offer beer and wine, all sites offer alternatives such as soda and water for those who do not wish to drink. There is no pressure to drink at any of the sites. Start a Young Adult Ministry?